Hot flash! The NCAA announced that pursuant to an agreement being hammered out between the parties, Joe Paterno’s 111 vacated wins will be restored. They’ll give one back to Scrap Bradley, too. He’s Real Fine, My 409! So, St. Joe now has 409 wins again and Bobby Bowden has fewer. Pffffffffffft! The NCAA fears what might come out of the pending trial, that’s why. And I don’t blame them, because what they did to Penn State bordered on criminal. No doubt, there are other skeletons in their closet that Mark Emmert and company are loath to have exposed. While we’re at it, Louis Freeh ought to be afraid — be very afraid. I want my $6 million back. And now, what about the statue? LOL! Is it in Franco’s basement? Is it stored “in a safe place” like one of those abandoned Pennsylvania Turnpike tunnels? Enquiring minds want to know. Will this settlement clear the way for the Penn State administration to begin restoring the glory of St. Joe, like PS4RS has wanted all along? Name the stadium Paterno’s Beaver Stadium. Hell, call the University Joe Paterno Culture of Football University, for that matter! St. Joe is Back! While we’re at it, USA Today published a piece giving a good timeline on how Penn State was coerced into signing the consent decree. USA Today: Did Penn State really face the death penalty? Yeah, folks! 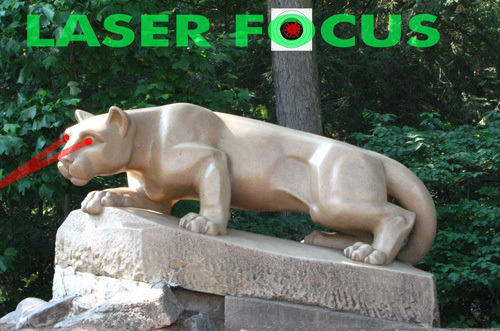 Karen Peetz, the woman responsible for my “Laser Focus” series has resigned completely from the Penn State Board of Trustees. Peetz, whose famous deflection, “We need to maintain a laser focus on the future of the University” during the depths of the NCAA overreach following the Sandusky Scandal inspired my mocking castigation as we wallowed in the mire. She was board chair at the time; later, she couldn’t take the heat and stepped down to occupy a role as trustee. She cited business commitments at the time, and she’s doing the same now. Peetz is CEO of BNY Mellon, where some of my money lives. Best remembered for being the chair at the time the dreaded NCAA sanctions were accepted, Peetz was roundly vilified by the PS4RS brigade and other pro-Paterno forces. It is interesting that she resigns at a time when there might be an eleventh hour deal struck between the University and the NCAA to avoid a trial in which the NCAA’s overreach in this case would be further exposed. She will be replaced by former BoT member Ira Lubert, who has lots of money. That won’t make the PS4RS squadron very happy, because Lubert was among the trustees who voted “yay” for St. Joe’s dismissal in 2011. 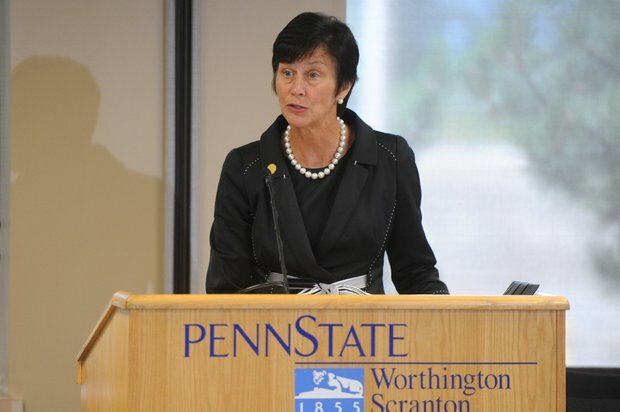 Peetz’s resignation can be viewed as one further step in restoring normalcy at Penn State, and thus, I celebrate it as a great thing for the future of the University, laser focus or not. Goodbye, Karen, and may you always have a laser focus. “Laser Focus” is now closed, but look for some more on the great NCAA overreach scandal as days wear on. January should prove to be an interesting month for Paternoists, Sanguinarians, PS4RSers, and NCAA Haters.